One in three children are Internet users according to the United Nations International Children’s Emergency Fund (UNICEF), and a fifth of children aged between three and four have their own tablet PCs according to the World Economic Forum (WEF). With this in mind, the need to protect the online safety of children is paramount. Harmful content, sexual exploitation and abuse, gaming addiction, cyber-bullying, misuse of private information – the risks facing children in the digital world is a real concern for parents. A survey on social media conducted by TotallyAwesome – a kids-safe and compliant digital advertising and content platform – in Indonesia, Malaysia, Singapore, Thailand and Vietnam in October 2018 found that 90 percent of children between the ages of four and 12 use social media platforms such as Facebook, Instagram and YouTube. The survey also found that 68 percent of parents were afraid that their children might come across inappropriate content, 56 percent were worried about its potential negative influence and 47 percent were fearful of cyber-bullying. 34 percent were concerned about their children’s general well-being while using social media. These concerns are not unfounded, as 68 percent of parents said their children had already experienced negative issues on social media. 33 percent said they had already been exposed to inappropriate content while 24 percent had already fallen victim to bad influences. “We had expected to see concerns amongst parents regarding their kids´ digital safety – this is a global trend,” said Quan Nguyen, TotallyAwesome’s CEO. 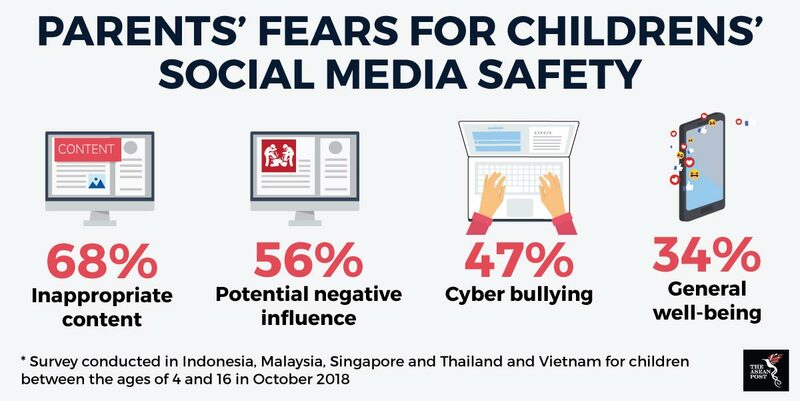 With social media penetration in ASEAN member states among the world’s highest, parents have every reason to be concerned. The Global Digital Yearbook 2019 produced by We Are Social and Hootsuite last month found that Singapore has the fourth highest rate of social media penetration in the world at 79 percent. Malaysia comes in at sixth (78 percent) and Thailand is eighth (74 percent). 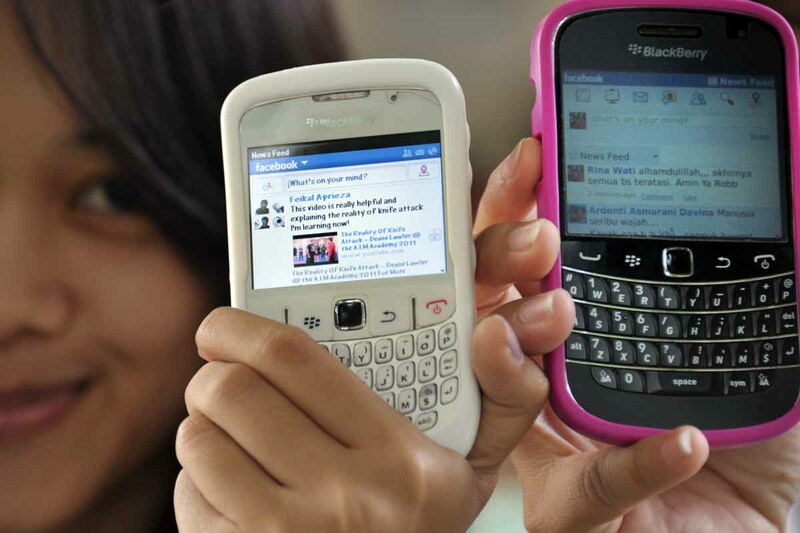 Meanwhile, a 2017 study by CyberSecurity Malaysia (CSM) found that almost half of the pupils aged between seven and nine in the survey consisting of over 8,000 primary and secondary students nationwide had social media accounts, with the percentage increasing to 67 percent for children aged between 10 and 12. In the 13-17 age-group, 92 percent of those surveyed had social media accounts. Although social media can help children with their homework, connect them with peers and friends, boost their creativity and helps them share content; the physical and mental ill-effects of its excessive use has been well documented. Increasingly seen as a means to placate children or to keep them occupied, defiance and anger are commonplace issues when children are asked to stop using their smartphones. Apart from external dangers such as cyber-bullying, social media may create concerns over self-esteem and self-worth tied to the number of likes, comments and followers a child receives – an issue commonly seen in adults as well. According to child researchers in the United Kingdom (UK), short-sightedness has doubled since the 1960s and obesity is increasing – partly due to increasing smartphone use. Exercise and outdoor play have taken a backseat to smartphone use, and only half of seven and eight-year-olds get the recommended daily hour of exercise, according to the WEF. It is obvious something has to be done before it’s too late. Parents, educators, Internet service providers (ISP), technology companies, and the government need to sit down at the same table to iron out policies and work out solutions. While parents should control the amount of time their children spend on smartphones and monitor their activities while they are using them, children should also be educated about responsible smartphone and social media use. However, before anything else, it is the parents who need to put down their smartphones first and set a good example for their children.